La Marmotte route analysis - how far, how much climbing, how tough is this sportive? La Marmotte is one of the toughest sportives in Europe with a total distance of 174.5km and 5,750 metres of climbing in the day. The day starts in Bourg d'Oisans, with around 7,500 riders gathering in the centre of the town. The starting pens are open from 6am and riders are allocated a starting position based on previous performances or timings from similar events. The first riders go off at 7am and the last pens are released around 7.50am. 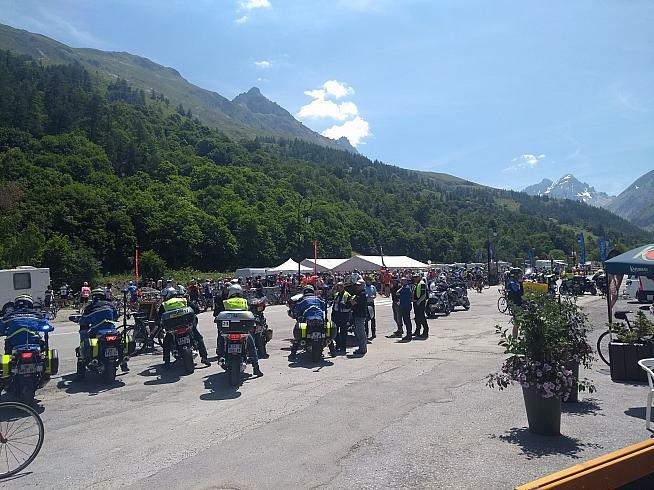 Once you have passed over the start line (don't forget to start recording your ride on your bike computer or phone), the first 11km is a speedy affair, powered by the adrenaline of thousands of riders who have been training for months for the Marmotte. Slower riders should stick to the right hand side of the road while the quicker riders should stick to the middle of the road. This is because late starters are often coming down the left side of the road from the opposite direction, which can cause some difficult encounters with riders hitting 60km/hour as they speed along to the foot of the Col du Glandon. The first 11km is not quite flat - it is a gentle climb at about a 1.7% slope - but if you get in a decent group you won't notice it much. While it is good to speed along in a huge peloton, you need also to be careful not to burn any matches by going faster than you can cope with as you will end up regretting it later in the day. The road is the main D1091 road heading north out of Bourg d'Oisans towards Grenoble and you then turn right at Rochetaillée on the D526 towards Allemont. The first climbing of the day comes after 11km with the short ascent via two hair pin bends to the Lac du Verney but there is then roughly 2km of flat before the ascent of the Col du Glandon starts. 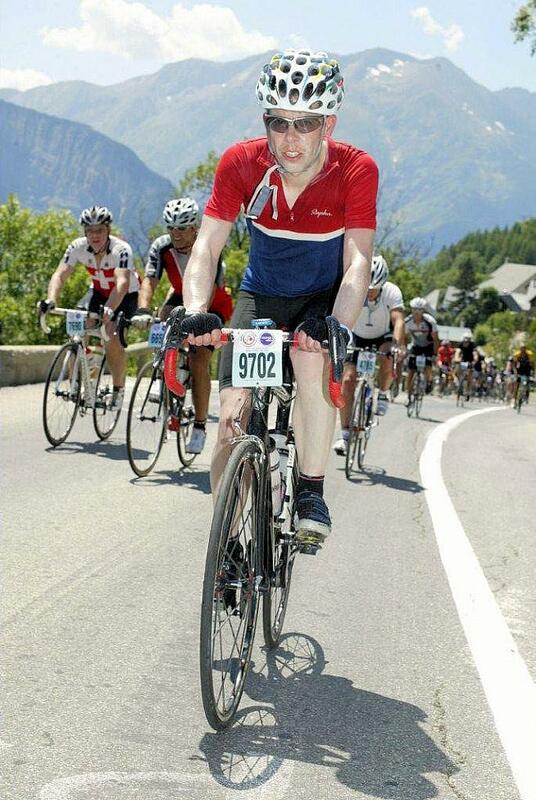 The Glandon is a 24km climb at an average of 4.8% but that is a slightly distorting statistic. This is mainly because in the middle of the climb, after 11.5km, there is a steep descent for about 1.8km, followed by about 3km at an average of roughly 8%. 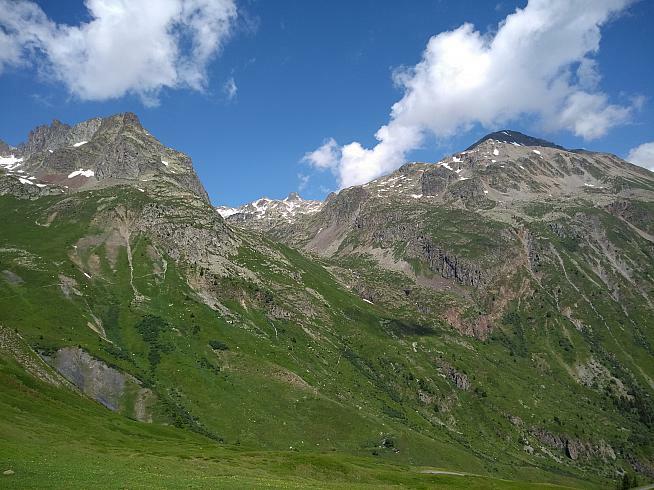 The good thing about the climb of the Glandon is that you are doing it relatively early in the day so it is not too hot and also it has plenty of trees to provide shade, so you have some protection from the elements. The bad thing is that it is just a long, hard climb. Once you reach the top of the Glandon there is a food and water station. There are very limited toilet facilities (just two portable toilets in 2018). If you are going with a tour company then they may well have a tent/gazebo at the Glandon...be careful that it isn't before the timing cut off point at the top of the climb as otherwise you will be wasting valuable minutes off your official time. The timing point is there because the 21km descent off the Glandon is not part of the official timing of the Marmotte. This is because it is technical and dangerous descent, especially the first four bends. Despite this it appears that a lot of riders still descend like lunatics, judging by the number of bloodied faces and ambulances I saw in both 2014 and 2018. It is a fun descent and you can get up some decent speed on the lower slopes where there are nice wide turns and you can see a long way in front of you. In theory this section of the course is closed to traffic but I encountered one car on the way down and several cyclists making their way up, so don't assume that it is going to be completely empty as you hurtle down. The road you are descending on is the D927 and this takes you to Saint-Etienne-de-Cuines, which is where the timing re-commences, which is roughly at the 60km point. By now the temperature should have warmed up quite a lot for your ride along the valley to Saint-Michel-de-Maurienne, which is where the Col du Télégraphe ascent begins. The ride along the valley is a lot easier in a group and you would ideally try and find a group going at your pace just before crossing the timing mat. It is about 20km along the valley and it is pretty much a gentle uphill all the way, with around 300 metres of climbing over that distance. This is not a pretty part of the ride and there is plenty of traffic along these roads and although it is marshalled and generally the traffic won't come near you, you need to be aware of the vehicles around you. About one kilometre outside Saint-Michel-de-Maurienne there is a water station on the right hand side which is quite easy to miss. It should be signed about 500 metres before it happens but you need to look out for the layby if you want to re-stock with liquid. There are also some urinals and a couple of portable toilets at this stop. 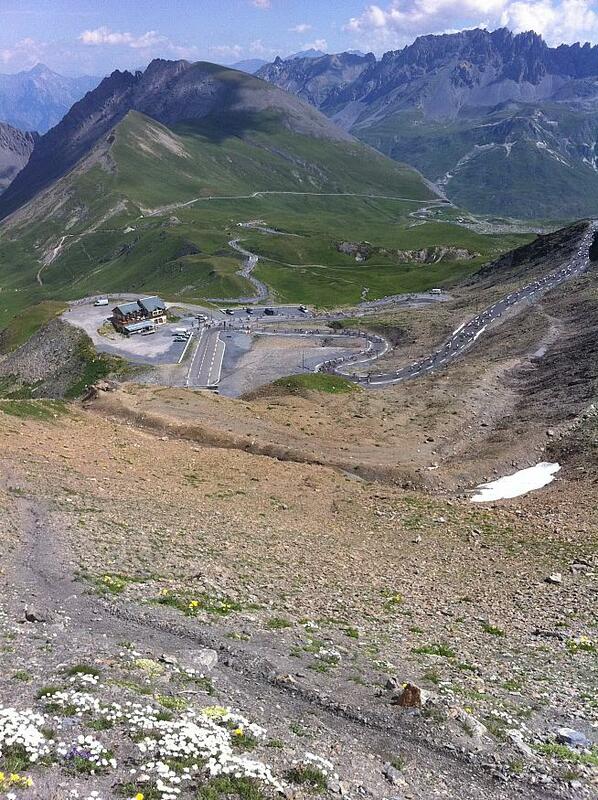 At Saint-Michel-de-Maurienne there is a sign that says the Col du Galibier is 32km away and 2,200 metres of climbing. This is not a mistake. The climb of the Col du Télégraphe up the D902 is 12km at an average of 7.3% and unlike the Glandon this is a steady climb with not many surprises. Unfortunately it is no longer a closed road part of the course, which is frustrating as it means you can only use the right side of the road and you miss out on a lot of the shade that you would get on the left hand side. It also means there are a lot of cars trying to get past and not all of them behave themselves - I saw one very close shave between an Italian rider and a French motorist that could have ended quite nastily. At the top of the Télégraphe (roughly 92km) there is a feed station but many people opt not to stop there because there is another one just 8km later. There is a quick 6km descent along wide roads into the village of Valloire and then a 2km ride uphill out of town to the feed station, which is opposite the Hotel Relais du Galibier on the D902. About 1km out of town there is a church of St Bernard with a water trough and pump outside where I could see people cooling themselves down - if you're suffering, you could do a lot worse than stop here. The Valloire feed station is, in my experience, chaotic. Lots of tired riders who look like they won't make it home. If you need shade, I recommend the garden of the Hotel Relais du Galibier, which also does bottles of Coke and has a proper toilet that they let riders use as long as they have bought something. From here, the pain really starts. The climb is 14km from the rest stop to the top of Galibier at an average of 6.9%, which doesn't sound that bad. However it is totally exposed to the elements and at altitude (the Galibier is the highest paved road in the Alps at a peak of 2,645 metres). The climb really sorts itself into two parts. The first is the section to Plan Lachat, which runs at about an average of 5.5%, and then you have the final 4km of hairpin bends to the summit, which runs at around 9%. This is probably where you will see people pushing their bikes for the first time, especially if there is a headwind. The final kilometre is especially tough but you at least can see where you are aiming for and just keep pedalling. This is also where the course photographers position themselves, so try to look like you are enjoying yourself when they are snapping away rather than in the middle of the worst anguish of your life. At the top of the Galibier is a food and water stop, again fairly basic like the previous ones. You probably want to put on a jacket of some kind (or arm warmers, or both, depending on conditions) because you have a long descent in which you will really feel it if you are just in a jersey. Looking back on what you have just come up. The descent from Galibier back to Bourg d'Oisans is about 48km and you lose 1895 vertical metres during the descent. The route is down the D902 to the Col du Lauteret turn, where you head right on the D1091. There are three important things to know about this descent. The first is that at the top it is pretty steep and technical and there are not many barriers to stop you if you get your line wrong! Be sensible on this descent or you may end up in the back of an ambulance. Second, along the D1091 there are several tunnels. The Marmotte rules state that you must have lights on to go through these tunnels but be very wary because if you are wearing sunglasses you come out of the bright sunshine into the pitch black at 60km/hour and you can't see anything. This can be extremely scary and there have been some bad crashes in these tunnels in the pat. The third thing is that about 37km into the descent there is a 2km section of not too steep ascending and this is often a surprise to people who have not ridden the Marmotte before. At Bourg d'Oisans there is a feed stop at the base of the final climb. There are a couple of toilets and some grass to lie on as well as food and water. This is where you need the greatest mental strength as the task ahead of you is daunting. 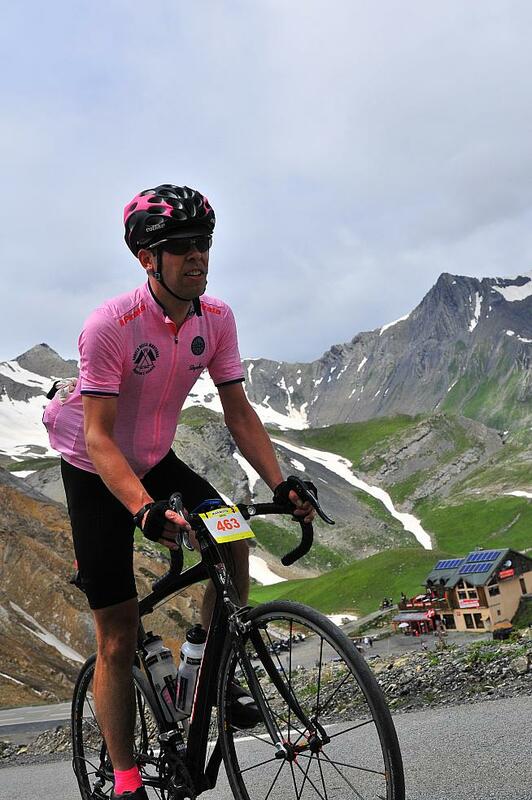 What can I say about Alpe d'Huez that has not been said before? 21 hairpin bends, 14km of climbing at an average of 8.1%. In the heat of the day. It's just a brutal way to end the Marmotte. I personally think that the first four bends of the Alpe d'Huez are the hardest and once you have that out of the way then you know you can finish. The first 3km are at 10.5% or so but it takes over a kilometre to hit the first bend (which is bend 21 as they count down in reverse) and mentally it makes you feel like it is never going to end. After bend four there are also sections of the climb which are just a little less sharp a gradient and you can get ease off a little, although none of this climb is easy. 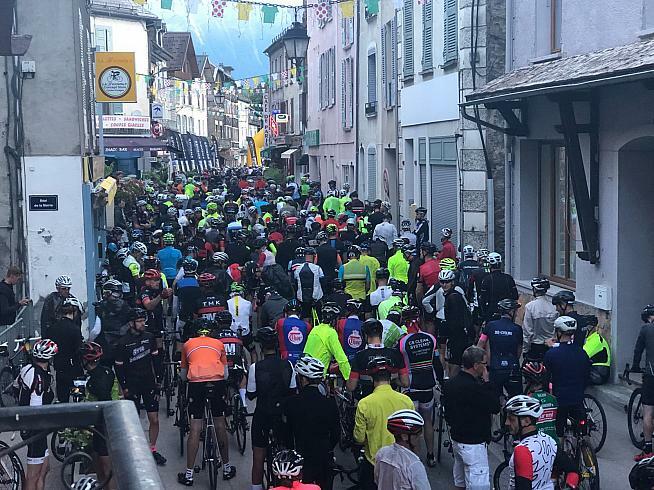 You will see grown men (and women) sitting beside the road ready to cry, unless you are so super fit that you are doing the Marmotte in under seven hours. Around half way up there is usually someone with a hose who is rinsing riders down - I advise you to do this (but make sure your mobile is in a protective case) as it makes a massive difference in reducing body temperature. There are also mountain streams around bends 8 and 9 which are good to stick your head under to try and lower your core temperature. 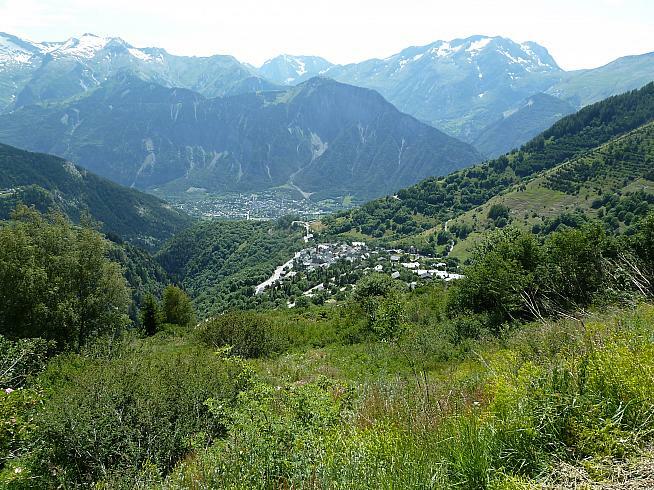 And then you reach the edge of Alpe d'Huez (do not confuse this with the village of Huez which is about 4km from the end) and you have the final glorious kilometre long ride to the finish. The gradient eases off a bit and you have the chance to sprint to the line and claim your medal. If you've managed to get this far, whatever time you have taken, you have done extremely well.